Marigolds are bright and attractive flowers that are highly popular in home gardens. They are known scientifically as Tagetes, and are a genus that is comprised of 51 different species. Marigolds originate in the southwestern United States. Marigolds tend to be yellow, orange, golden and white in color. The foliage of marigolds has a distinct and musky scent that is believed to repel many pests. 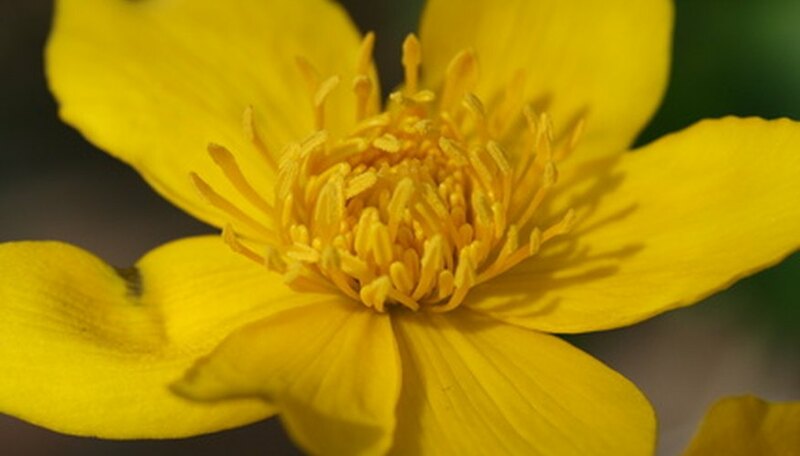 Because of this, marigolds are more resistant to pests than other flowers, but there are some common pests that occasionally bother marigolds. Japanese beetles are known scientifically as Popillia japonica. They originate in Japan, as their name indicates. They are a major pest of approximately 200 different plants. Japanese beetles inflict damage upon marigolds by skeletonizing its leaves, which means that they feed on the leaf material that is situated between its veins. They tend to seek marigolds when they cannot find any roses. Control Japanese beetles by picking them off of the marigolds and then dropping them into a bucket filled with soapy water. They then should be thrown into the garbage. In cases of bad infestations, use insecticide. Aphids, also known as plant lice and greenflies, are common marigold pests. They are tiny insects that are part of the Aphidoidea superfamily. Aphids can cause a lot of damage to marigolds, including stunted growth, mottled leaves, lowered rates of growth and curled foliage. With infestation by aphids, marigolds will have sticky secretions over their newer buds and leaves. The best way to eliminate aphids is, in the nighttime, using a chemical called rotenone. Leafhoppers are plants that consume insects. They are part of the Cicadellidae family. They are frequently referred to simply as "hoppers." Some common signs of infestation by leafhoppers are the leaves becoming disfigured and discolored in appearance. Marigolds can be defended against troublesome leafhoppers by laying out a garden fleece (white polyspun) over the flowers towards the beginning of the spring. This action will stop leafhoppers from gaining any access to the marigolds. What Are the Pests of Gerbera Daisies? What Causes Petunias to Die? What Are the Different Kinds of Geraniums? What Do Marigold Plants Look Like?